Everest Base Camp Trek is one of the most popular adventurous trekking in the world where you will be a part of breathtaking sceneries of Himalayan ranges, Buddhist monasteries, Sherpa culture, and wildlife. Many people understand the trek to Everest Base Camp is so difficult but it is not a true, it is suitable for everyone who are physically fit, in good health, and have a little experience with high altitude walks. 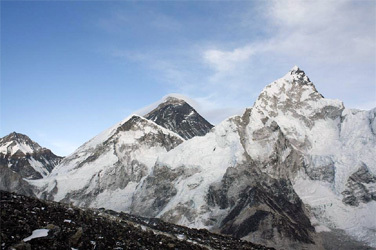 Today, the trek to Everest Base Camp has become an achievable goal for people from all walks of life who want a glimpse of the world’s highest peak Mount Everest (8848m), leave the their footprint at the Base Camp of world's tallest mountain and as same time get opportunity to climb the non-technical Peak Kala Pattar/Kala Patthar (5545 meters). The Everest Base Camp trek is offers truly spectacular panorama views of Mount Everest and other most attractive mountains position in Khumbu Himalayan region, ethnic settlements, walks through wide areas of stunning landscapes, years old Buddhist monasteries and museums. Mount Everest Base Camp Trek is possible to offer a private trek (A trek with a guide and porters) for the individual, family and friends which is departure everyday and those who are seeking to join in a small group trek our fixed departure dates might be the better option. 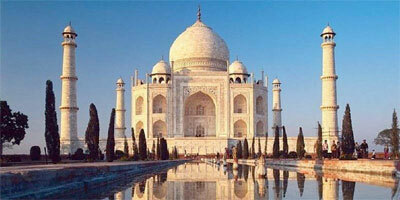 No matter, which option you decide to joining we are happy to offer the trip as per guest's requirement. The below given 16 days Everest Base Camp trek covered 12 days trek, one day sightseeing tour around Kathmandu valley and one rest day in Kathmandu. The Everest Base Camp Trek (Ebc trek) trail decorated by Sagarmatha national park, recognized as a world heritage sites. The Park boasts of a variety of wildlife such as the red panda, snow leopard, musk dear, Himalayan house hare and over 118 species of bird including the blood pheasant and the impeyan pheasant. 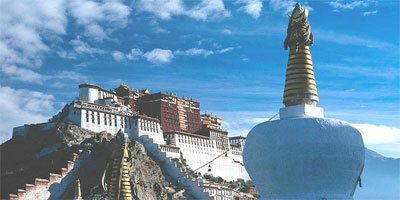 The trail passes through the Sherpa villages, Buddhist monasteries and Khumbu valley. 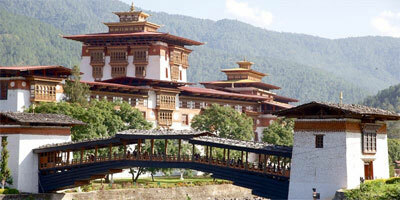 The 12 days Everest Base Camp trek is starting and finishing at Lukla. During the trekking seasons there are numerous daily flights into and out of Lukla, weather permitting. Tea houses/Lodges (Eat and sleep in local lodges) basis trek package is more common and popular which is also make the trek cost cheap and easy to arrange. Teahouses in the Everest region are well managed and some of them even provide western style facilities like hot showers, flush toilets, and a selection of food menus. Whatever it is always better not to expect luxury accommodation in Himalayan region means should be happy with basic accommodation and food because you are here for the adventures. Flights to Kathmandu are generally early in the morning so you may have a breakfast at teahouse early in the morning then check in airport to fly back in Kathmandu (1350m). 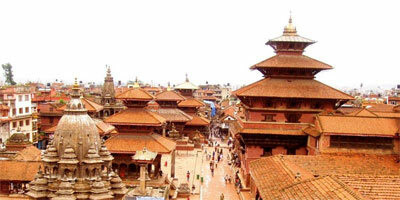 After arrival in Kathmandu transfer to your Hotel then end your trip. The set departure dates listed are specially quoted and specified for group joining option. If above fixed departure dates are not suitable to you it is possible to schedule your own departure date and also possible to modify the itinerary and upgrade the service Budget to standard and deluxe private tour as per your requirement.